Mobile has hit the mainstream in the U.S. At the end of 2009, the number of mobile subscribers had grown to 280 million, reaching 87% of U.S. households. The availability of unlimited data and text messaging plans has pushed consumer mobile usage beyond voice to text messaging and Internet access. 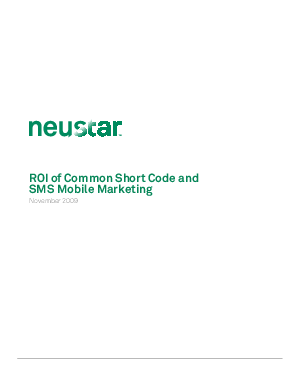 Last year U.S. consumers sent over 110.4 billion SMS messages per month. This number continues to grow. Meanwhile new devices like Apple's iPhone have made web browsing on the phone more prevalent and improved the app store experience to create a better market for mobile applications.